Have a blast with Grammar Blast! Answer 10 questions and earn up to 100 game points. To play just choose a quiz below for grades 2 through 8. To help you learn the parts of speech. Cue cards and posters also available to print out. Free lessons, exercises with answers, and tests. Here’s a list of some words, which are often used incorrectly. Includes short explanations and exercises. Click on any word in a list to go to the exercise. A blog with interesting stories, with grammar notes at the end of each story. Podcasts available for those who’d like to hear the stories. Come explore the wonders and quirks of the English Language including the parts of speech, sentences, style guidelines, usage, punctuation, spelling, and more. William Safire’s humorous list of things to remember while you are writing. You may want to print this out and put over your writing table. An Example: Don’t use no double negatives. 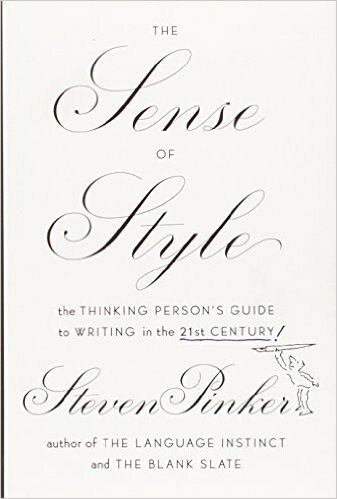 In this short, cheerful, and eminently practical book, Pinker shows how writing depends on imagination, empathy, coherence, grammatical know-how, and an ability to savor and reverse engineer the good prose of others. He replaces dogma about usage with reason and evidence, allowing writers and editors to apply the guidelines judiciously, rather than robotically, being mindful of what they are designed to accomplish. Filled with examples of great and gruesome prose, Pinker shows us how the art of writing can be a form of pleasurable mastery and a fascinating intellectual topic in its own right. William Strunk’s classic and humorous guide to writing understandable English. Podcasts and transcripts on many of those little sticklers of style and word choice that can trip us all. These notes are a miscellany of grammatical rules and explanations, comments on style, and suggestions on usage John Lynch put together for his classes. A general guide recommended for teens and adults. British site, useful to everyone who is interested in the English language. IGE does not assume any prior knowledge of grammar. A complete reference on English grammar and style. Free, self-paced course in English grammar and sentence structure. Recommended for high school level students.